Ecuador Pres­id­ent threat­en­ing the polit­ic­al asylum of Assange from Annie Machon on Vimeo. A storm of dip­lo­mat­ic sound and fury has broken over Ecuador’s decision to grant polit­ic­al asylum to Wikileaks founder, Juli­an Assange. The UK gov­ern­ment has threatened to breach all dip­lo­mat­ic pro­tocol and inter­na­tion­al law and go into the embassy to arrest Assange. 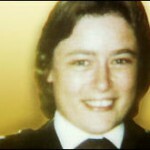 The UK jus­ti­fies this by cit­ing the 1987 Dip­lo­mat­ic and Con­su­lar Premises Act, a law appar­ently put in place fol­low­ing the 1984 shoot­ing of WPC Yvonne Fletch­er from the Liby­an Embassy in Lon­don. The murder res­ul­ted in an 11-day siege, and the embassy staff even­tu­ally being expelled from the coun­try. Nobody has yet been brought to justice for this murder. It is hard to equate the grav­ity of the crime that brought about the 1987 legis­la­tion — the murder of a police­wo­man — with Assange’s situ­ation. Des­pite the scream­ing head­lines, let us not for­get that he is merely wanted for ques­tion­ing in Sweden. Nev­er­the­less, the UK is pre­pared to over­turn all dip­lo­mat­ic pro­tocol and cre­ate a dan­ger­ous inter­na­tion­al pre­ced­ent to “get their man”, des­pite there being a clear lack of jus­ti­fic­a­tion under the terms of the ’87 Act. Many people in the west­ern media remain puzzled about Assange’s fear of being held cap­tive in the Swedish leg­al sys­tem. But can we really trust Swedish justice when it has been flag­rantly politi­cised and manip­u­lated in the Assange case, as has been repeatedly well doc­u­mented. Indeed, the Swedish justice sys­tem has the highest rate per cap­ita of cases taken to the ECtHR for flout­ing Art­icle 6 — the right to a fair tri­al. If Assange were extra­dited merely for ques­tion­ing by police — he has yet to be even charged with any crime in Sweden — there is a strong risk that the Swedes will just shove him straight on the next plane to the US under the leg­al terms of a “tem­por­ary sur­render”. And in the US, a secret Grand Jury has been con­vened in Vir­ginia to find a law — any law — with which to pro­sec­ute Assange. Hell, if the Yanks can’t find an exist­ing law, they will prob­ably write a new one just for him. So why all the sound and fury? What is this really all about? Wikileaks is a ground-break­ing new form of high-tech, award-win­ning journ­al­ism that has exposed cor­rupt prac­tices across the world over the years. And cru­cially, in this war-torn, weary and fin­an­cially broken world, it offers a secure con­duit to whis­tleblowers who want to expose insti­tu­tion­al crime and cor­rup­tion for the pub­lic good. Whis­tleblowers want to get their inform­a­tion out there, they want to make a dif­fer­ence, they want a fair hear­ing, and they don’t want to pay too high a per­sonal price for doing so. Is that too much to ask? By going pub­lic about ser­i­ous con­cerns they have about their work­place, they are jeop­ard­ising their whole way of life: not just their pro­fes­sional repu­ta­tion and career, but all that goes with it, such as the abil­ity to pay the mort­gage, their social circle, their fam­ily life, their rela­tion­ship… Plus, the whis­tleblower can poten­tially risk pris­on or worse. So, with these risks in mind, they are cer­tainly look­ing for an aven­ue to blow the whistle that will offer a degree of pro­tec­tion and allow them to retain a degree of con­trol over their own lives. In the old days, this meant try­ing to identi­fy an hon­our­able, cam­paign­ing journ­al­ist and a media organ­isa­tion that had the clout to pro­tect its source. While not impossible, that could cer­tainly be dif­fi­cult, and becomes increas­ingly so in this era of endem­ic elec­tronic sur­veil­lance. Today the oth­er option is a secure, high-tech pub­lish­ing con­duit such as Wikileaks. This provides anonym­ity and a cer­tain degree of con­trol to the mod­ern whis­tleblower, plus it allows their inform­a­tion to reach a wide audi­ence without either being filtered by the media or blocked by gov­ern­ment or cor­por­ate injunc­tions. As someone who has a nod­ding acquaint­ance with the reper­cus­sions of blow­ing the whistle on a secret gov­ern­ment agency, I have long seen the value of the Wikileaks mod­el — and I also under­stand quite why gov­ern­ments feel so threatened by it. After all, no gov­ern­ment or mega-cor­por­a­tion wants free­dom of inform­a­tion and trans­par­ency forced upon it, nor an informed cit­izenry ques­tion­ing its actions. Our gov­ern­ments like to spout the phrase “if you have done noth­ing wrong, you have noth­ing to hide” as they roll out yet anoth­er intrus­ive sur­veil­lance meas­ure. Wikileaks has turned that right back at them — hence this mod­ern-day witch-hunt.